You find yourself sitting in your car, reeling through emotions after being rear-ended by another car. You get out and check out the damage, exchange insurance, and driver information and wait for the police to arrive. What do you do now? After calling your insurance company to file a claim, you should think about seeing your regular physician, and you should also begin your search for an auto injury chiropractor. A chiropractor is a physician who specializes in evaluating and treating issues that result from nerve, organ, spine and connective tissue damage, due to falling or being involved in a car accident. They do a thorough evaluation and look for any unseen injuries. Sometimes it can take weeks, months or even years for an injury received in an accident to the surface. And sometimes you may not even know you were injured, despite suffering from symptoms such as headaches, stiffness, pinched nerves, numbness, tingling, irritability, and even the sensation of coldness in your hands, legs, feet, and arms. But, how can you find a quality auto injury chiropractor? You can find many chiropractors by searching online, or by calling your health insurance company for a listing. You can also obtain a referral from your primary care provider, or get suggestions from family or friends who have seen a chiropractor in the past. You may even be referred to a specific chiropractor by your car insurance agent, or you can be pointed in a certain direction by your auto injury attorney, who may have working relationships with chiropractic professionals who will help you and your attorney complete a medical injury claim for legal proceedings. As you can see, there are several ways to find a quality chiropractor. You may even find one that offers a free initial consultation and examination to determine if further visits are necessary. If ongoing treatment is deemed necessary, you may undergo gentle spinal manipulation as well as adjustment to make sure that your spinal cord, vertebrae, and nerves are in proper alignment. When your spinal system is not aligned correctly, you may notice a difference in your range of motion or experience pain when attempting to do everyday things. Your chiropractor may suggest physical therapy as part of your treatment plan and even offer suggestions on exercises that you can do at home and work. Either way, finding the right chiropractic specialist with experience in auto injury is the first step in ensuring your future physical health. The walkervillechiropractic – chiropractor Adelaide will be able to see you through the recovery process after an accident or if you have any other muscular pain. The professionals here are highly trained and ready to give you personalized care at pocket-friendly prices. Visit them and get you pain restored. Choosing the financial planner that is right for you can be very confusing and somewhat difficult. Finding the person or company that you will be able to trust with your planning and finances is important. So learning where to start takes some consideration. Before beginning the search for a planner, take some time to evaluate what your actual situation is financial. Free calculators are available on the internet that can help you begin by determining your current financial position. This will help you understand what type of help you are looking for from an adviser. Next, you will want to have an idea of what your goals are for making short, medium, and long-term plans. This will help you further determine what type of advice you are seeking from a professional. There are several areas in which a professional can help. For instance, you may only want assistance to plan appropriately for retirement. 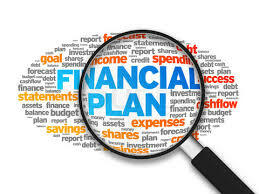 You may also be looking for help in all areas of your finances so that you will be financially secure. Now that you have done some foundational work, you will want to take the time to research before hiring an adviser. You need to consider a few things which can help you decide on the best match for you. First, be certain that the person or company has the proper licensing that is necessary for your state and county. Next, you will want to investigate the experience that the planner has. Find out how long the person or company has been in the business and in what areas they are experienced in. Depending on what type of help you are looking for, you will want to be sure that they have ample experience in the area. Locating a firm that is experienced in all areas can be helpful to you as your needs tend to change over time, and you will be able to stay with the same company. As with any service you choose to hire, it is advisable that you ask for references to check with past and present clients to see if they have been satisfied with the services provided by the company. You may even want to check with friends and relatives for their recommendations. In additions, find out how the provider charges for services. Find out if there are fees for the service provider or do they make a commission from providers of financial products. Be sure to be comfortable with how the planner charges you for services. If you live in Adelaide, financial planning with Owlfinancial.com.au is your best choice. The professionals here are highly trained and ready to help you. They will audit your financial expenses and needs and the advice you on the way to realize your financial goal. Visit them and enjoy the pocket-friendly prices as you secure a financially secure future. Finding enough room for parties or special events is one of the most challenging aspects of planning these events, but with marquee hire Adelaide, this doesn’t have to be a problem at all. When you choose marquee hire, the company you use will do all the work for you from setting up to tear down, leaving you to take care of the important elements of your event. With so much planning that goes into putting together a special event, the last thing you want to worry about does not have a place to hold your event or having facilities that are inadequate. If you go with the option of marquee hire, the company will work with you to ensure that you have exactly what you need from heating to specific lighting needs, a staging area, etc. The company will handle all of these special needs when your marquee is set up. Long before your event, the marquee hire company will work out the details with you so that everything is perfect when the day of your event arrives. When you choose your marquee hire service provider, you will have to let them know the details of your event, such as how many people will be attending, if you will need a dining or buffet area, as well as a dance floor and stage for live music. Once the company is aware of what your needs will be, they can take care of all the details of setup so that you don’t have to be bothered with it. There are several marquee sizes to choose from; you can get a smaller marquee for private events in your garden such as birthday parties or barbecues, or a larger marquee if you are planning a big event, such as a church social or fundraiser. The main detail that you will have to worry about is where to set up the marquee, and some marquee hire companies may even be able to help you with ideas for that detail as well. You can choose a marquee that is open, with only a top or you can have them add the sides to the marquee to create an enclosed venue. All that is necessary is that you choose a location and let the marquee hire the company to know what your needs are, the rest will be taken care of for you. The next time you have an event to plan, consider the benefits of marquee hire Adelaide and go for reputable companies to ensure the success of your party or event. Why Physiotherapy Is the Best for Back Pain Treatment? In today’s world, physiotherapy has gained immense popularity and hopefully the popularity will increase more in the future. If you are suffering from back pain for a long time and want to get rid of that pain, it is the high time you opt for physiotherapy treatment. Physiotherapy is a particular type of health care that improves the movement of an individual and also reduces the pain to a huge extent. Those who have started availing this treatment have undoubtedly benefitted from it. Many don’t understand the significance of this form of therapy. They believe that it is a time-consuming process, and it is better to take medicines rather than opting for physiotherapy treatment. But this concept is not correct. Nowadays even doctors recommend for this particular form of therapy because they know how the treatment can heal the pain. The www.KineticRP.com.au physiotherapy treatment is popular worldwide, and the reason behind it is the results that it provides. People from different parts of SA visit them with the purpose of getting the best treatment. The best part of being here is that you will don’t have to take any responsibility. It is the headache of the professionals working in the physiotherapy centers to look after you. They will not provide you with any medicine, but will advise you what to do and what not to do. Habilitation signifies making someone fit enough so that they can perform their task on their own. Rehabilitation refers to make someone fit of doing something they are incapable of doing it on their own. Last but not the least; promotion means the method of allowing people increase control over their life and improve their health. Physiotherapy treatment best treats people who are experiencing chronic diseases like arthritis and stroke. Before starting the actual treatment, the physiotherapists will ask you some health related questions. It is your duty to answer all of their questions correctly so that they can treat you properly. After going through the x-ray report, they will start with their actual treatment. Though physiotherapy treatment is a long-term procedure, it can be assured that you will get rid of your back pain if you follow their suggestions. The treatment will vary from one person to another, and the session with physiotherapists can differ in length depending upon the problem you are facing. If you want the best treatment for your back pain, SA physiotherapy treatment is the ideal option for you. You can book your name online for an immediate appointment. Anyone can benefit from this treatment because the physiotherapists working over here actively diagnose an issue and come up with the best of treatment. So, instead of suffering from back pain, it is high time you get the best of physiotherapy treatment from www.KineticRP.com.au physiotherapy centres SA. Owning a lawn is not as easy as it sounds. The cost of maintaining a lawn in good shape is rather high. Lawn maintenance requires you to purchase pesticides and chemicals that could be harmful to the environment. You would also need to invest in garden equipment. And finally, you would also need to devote your precious time to taking care of the lawn. By choosing to install great looking artificial grass, Adelaide, you get to save money as you wouldn’t need to invest in any garden equipment. The main advantage of the artificial lawn is that it remains lush and green throughout the year with very little maintenance. The fact that the artificial lawn is eco-friendly makes them sell like hotcakes. The 60s is when this type of artificial grass was first introduced. These days, with improvements in technology, the artificial grass looks much more real when compared to how they looked in the 60’s or 70’s. There are many other reasons as to why you need to consider installing an artificial turf. A few are discussed below. When you have a real grass lawn, it gets tough to maintain especially if you have erratic work schedules. The lawn needs mowing, watering and weeds need to be removed. This will take up most of your weekends. With artificial grass installed you can make sure to spend quality time with your loved ones during the weekend as there is very little maintenance required. There are many designs for you to select from click here to have a look. Real grass will have patches that are bare as a result of walking on them and due to weather problems. With artificial grass, you wouldn’t need to be concerned about damage at all. They remain the same throughout the year. Since these are non-toxic, they are safe for pets and children. Also, they are made in such a way that they can withstand any wear and tear. Whatever your requirements, you would find an artificial grass product to suit your needs. They can also withstand any weather. 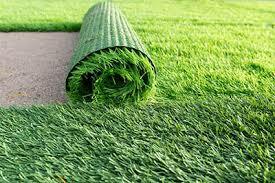 Unlike real grass that requires pesticides for maintenance, artificial grass doesn’t need pesticides. They are eco-friendly, and some products are even found to have been made from recycled products. Great looking artificial grass Adelaide helps you save money, is eco-friendly and is low on maintenance. Apart from all these qualities, it is also beautiful to look at. You would be surprised to see some of the world’s best golf courses use synthetic grass. The tree removal SA services has become a precious service especially when they obstruct roads services and other things. People also prefer to trim down big trees in their property when rainstorm or cyclone harshly injure them. If you have any big trees in your property which are obstructing things or damaged by the hurricane and want to remove it for safety reasons, then hire the services of professional tree services who specialize in tree removal business. Tree removal is a costly process, and you will have to do a lot of planning to manage the budget. The professionals who are offering such services have appropriate experience, training and required equipment to shred down big trees with complete safety, without causing any damage to your property. There are many cities where licensing for such services is mandatory. So it is always advisable to hire services of a licensed company. You must also check the service record and company’s feedback before signing any agreement with the company. Ensure that the company has a proof of insurance with them. The cost of removing big trees is very expensive. The charges of removing trees greatly depend on the size and location of the tree. Usually, big trees are quite difficult to remove compared to the removal of medium size or small trees and hence the service charge for big trees are much higher in comparison to the removal of small trees. The removal companies usually have a fixed pricing for removing trees according to the categories. In some cases, the removal company charges much higher for big trees those are larger than 90 feet and 4 feet thicker. 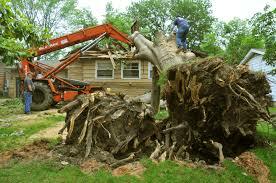 Removal of big trees is very complicated and hence the cost involved in the process is much higher which is decided according to the surrounding conditions of removal. However, some reliable and certified removal companies have a standard price for tree removal services that range from 150 pounds to 1500 pounds, depending on the size and surrounding condition of removal. Apart from height and width of the tree, there are also other factors that are considered while quoting a price for removal services. If the tree is near to buildings or utility lines, infected with insects and dead then get ready to pay additional charges for removal services. So, when it comes to hiring the services of a tree removal SA company it is vital to consider all these factors. Always ask for referrals from friends and read reviews of different companies before deciding on one. Always go for the best and never compromise because of low prices offered by incompetent companies. Always remember that cheap is expensive. Flexible home builders Adelaide provides the customers with ample freedom to choose from the various available options when it comes to building a dream home. You get to select the location, materials, spaces and school systems which your new home will have. You need to decide on the location of your new home. It is just more than finding a pretty patch of land on which you want to build your dream home. While building your home, it is important to think of its resale value, but things are susceptible to change in the upcoming years. This is why it is best to be prepared for any eventuality. Another thing to be ensured is the distance of your property from the common places like the local mall, theaters, shopping hubs, and parks. Also, ensure that the home you want to build is within the local building codes. While taking the location into consideration, research for the amenities like the local schools, hospitals, etc. that are available. Check for both the public and private organizations around the land that you want to build your property on. Before visiting a contractor, begin a scrapbook that contains pictures of homes as well as design elements which you want to be implemented by your luxury home builder. The scrapbook gives the contractor a clear idea over your requirements and something potential to work with while pulling together the blueprints. You can get pictures from the internet, luxury home magazines or even pictures of houses belonging to friends and family members. This helps the builder with an idea of the sort of house or style you are looking for. What is of utmost importance is the person you should get in touch with. There may be thousands in your state, but the real and flexible home builders Adelaide are not easy to find. 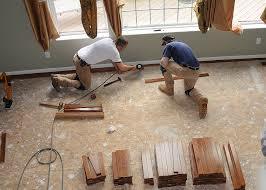 Do a good online search and also go for references from your friends before choosing a contractor for this job. Most contractors are willing to travel to build your house, which still gives you some options to consider while creating a luxury house. Also, do some research before zeroing in on a contractor. Ask friends and family members who have used them to check with the companies they recommend. After preparing a list of potentials, talk to the contractor. This is when you get to learn a lot about the company – the styles, their specialization and more – to create that perfect luxury property. Alcohol, entertainment, loud music, and late night refreshment sound really good. But it is not so easy to get this everywhere. The SA authority allows to do this stuff till 11 pm and then if you are caught indulging in the same, a penalty is charged. The local cops are on around for a check in the entire area. But this doesn’t mean you’ll have to give up your fun. Some events are well enjoyed till late night. The foremost thing to be clear in mind is that this license would allow supplying alcohol, play loud music, night entertainment, showing of films between 11 pm to 5 am. The second step is to apply for the application and to do so you must send your form to licensing authority. If you are applying for any other activity apart from supplying alcohol, then a simple application would be forwarded, and if it’s for latter, there must be another form attached stating the personal holder of the permit. The service authority would accept the form if and only if a personal holder is present. The third thing to be kept in mind is that the specification of the building should be given correctly including both internal and external walls. The measurement should include the perimeter of entrances and all the exits. If the premise is running more than one activity under the safe roof, it must apply for all the licensable activity. And if the owner is planning to make any changes or has already made changes in the boundary must give the specification of the raised level of floor. Apart from this, the number of rooms, washrooms, and kitchens ought to be mentioned in the form. These points are helpful in carrying out the plan easily and effectively. For at least one month a notice must be displayed regarding the application. It must be printed on A4 size paper and must be put over the walls or the roads connecting highway so that a random idea is given to people regarding the permit. 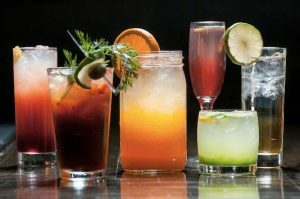 The notice must include the details of the licensee activities that would be carried out on the premises. Apart from this, the same notice including the postal address of the building must be printed in the local newspaper, and one copy must be presented to the service provider. These steps get very simple if you follow footsteps of professional lion liquor licensing South Australia application service. Here they provide a very economical service since their prices are unbeatable, and they save you all the time wasted following up the process. You just have to bring the business to them, and rest is done by them legally.